Might this be the One? The MOOC I stay with? I signed up for Dave Cormier’s P2PU Course on Rhizomatic Learning because… well because I like Dave, and what he brings to a thing like this. And of course it is going to be loosely unstructured, in the most Cormier like way. For week 1 (sign, it is always a WEEKLY structure, when will it every loosen? ), we get to do whatever we want. So I went out in my yard to check out my rhizomes- aspen, plum, and poplar. The alluring metaphor is tricky, because as free thinking individuals, we are not all bound to the single mission of a rhizomatic plant (live and spread). Or are we? What part of said plant is an individual? To me, it’s not that we are rhizomes, but can benefit from a rhizomatic way of being. I’d pondered before the idea of transplanting; my experience of doing this in my own yard has been with mixed results. So what happens when folks have their extensive rhizomatic rapture in 6 weeks? It’s not like the lights get turned off on the internet, but there is something akin to a transplant experience as people carry on (or do not). In many ways, following the work Dave has done the last X years has the feeling of both familiarity and a bit of “so what?” — the latter not a criticism, but more of a sense to me, that it’ an every day experience, what I have known from my last 20 years on the web and even the pre-web networked space I was lucky to plop into. When I walked into my role as a mullet-headed, green to the world, instructional technologist at the Maricopa Community Colleges (1992), I had the taste already of what was to come. I’d been on listservs since 1987. Although ancient technology, the same human social dynamics of communication happened in that text space as what we do in twitter, Google+, etc. 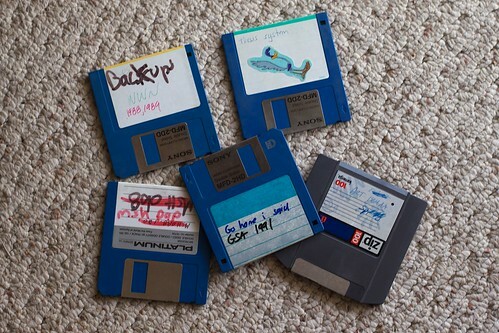 In my grad school geology research (1986-1992), I had been ftping files, using programs like NCSA Telnet and some other visualization software (was it “Collage”). The part that stands out profoundly was the idea of sharing code and learning from the work of others via the Info-Mac Archives, on a machine at Stanford named sumex-aim. 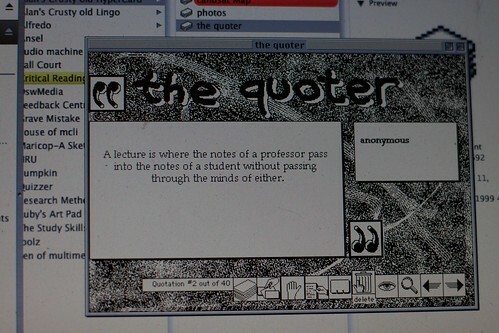 I was learning HyperCard, and others were uploading their HyperCard stacks to this site via ftp, all of it completely open to looking and learning from the code (stuff was announced via the email list). There was not even any idea of “copyright” or worry about someone stealing an idea. They were ALL stolen in many ways. I learned from the work of others, and then began the natural (for me) reflex- share back. That shot is funny, you can see the IP address of my first web server, a Mac SE/30. In those days, I could plug a machine in the network and turn on a server; and even got to give them geological names (see if you know what “Hakatai” is). That reflex has not changed at all. It was a magical time. It was a way of learning by doing that registered with me, a way that I could not do in a workshop or from a book. And it was not just pure coding- what arose out of this [rhizomatic] space was personalities, faults and virtues, and what some people call a reputation economy. And this circles me back to this Rhizomatic Learning class (that word makes me think it is a Ronco commercial). It’s really a chance to have a rhizomatic experience about rhizomatic experiences. And if Dave just blogged that hr wanted to have a 6 week conversation about it. some people might engage. So it’s interesting to me, that hoisting it as a class does have a drawing power. Or maybe, that the class is a smaller subset fo what it really is – an event, a happening. We are drawn to them IF we sense there is something potentially big/intriguing that will happen. And good chunk on that rests on the reputation Dave has earned. And it provides a place for those joining in to mix and mesh their own reputations. And the currency of peer reputation is a way more powerful motivator to me than the kind bestowed by some Fast Company article. Bring on the rhizomatics. I’m there. Nice to have you along as always cogdog. The event pull is really strong for me. I’ve learned over the years that maintaining long term community drive can be difficult and have heard many people say that it can be excluding for new folks. I think of these courses as onboarding experiences for people, a new chance to create new community. Not a whole lot new for you, i’m afraid, other than maybe the view of an old dog seeing a old friend change a little every year. When a person of high reputation throws a party there is a high likelihood that lots of other reputable people will attend. So glad the invitation is open to all. Maricopa and you reminds me of the time when i started to learn programming, it was Director/Lingo. I had been on english and german mailing lists (was it Direct-L ? ), and it could be that we came across there or on others web portals dedicated to Lingo. Oh yes, it was a magical time. 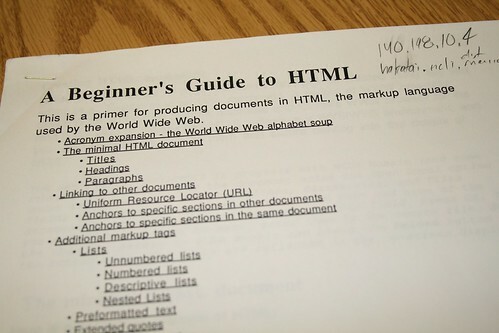 At the of the 90ies there were not many courses about Director, at least in Europe. So learning by doing was the way to go. I have learned so much from those mailing lists. Because there i could learn from real-world problems, from questions people currently care about and also about trends and new features. Our learning path was the community! Well, that ‘lingo rhizome’ ended some time ago (exit point). But new ones (entry points) arise. That’s part of the idea behind rhizomatic learning. Old Director memories! I ran the DirectorWeb site at Maricopa and learned much about networked interest groups. And yes there was a lot if sharing and learn by doing in that space. Blasts from the past. Reminded me of the first Unix network I managed. All the users has login names based on Star Trek…hope you stick around.